Be it an office, shop, or institute; we specialize in developing high-end furniture designs from concept to manufacturing details, using CAD. Detailed and precise architectural millwork drafting complementing architectural plans and support every stage from designing to installation. Assisting sheet metal fabrication to reduce ECOs through our offshore facilities with precision 2D CAD fabrication drawings as per standards. 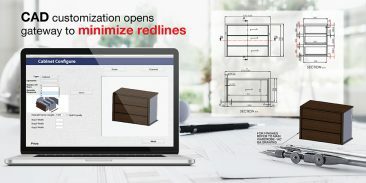 Leverage your existing CAD design database with minor design variations and create new product designs quickly and efficiently. We, at Hi-Tech Engineering Services, as a leading outsource CAD services company from India, expedite engineering lead time for design engineers, fabricators, manufacturers, contractors, and plant owners through comprehensive CAD design support solutions. Contact us today and discuss, how we can develop a mutually beneficial, long term, relationship!